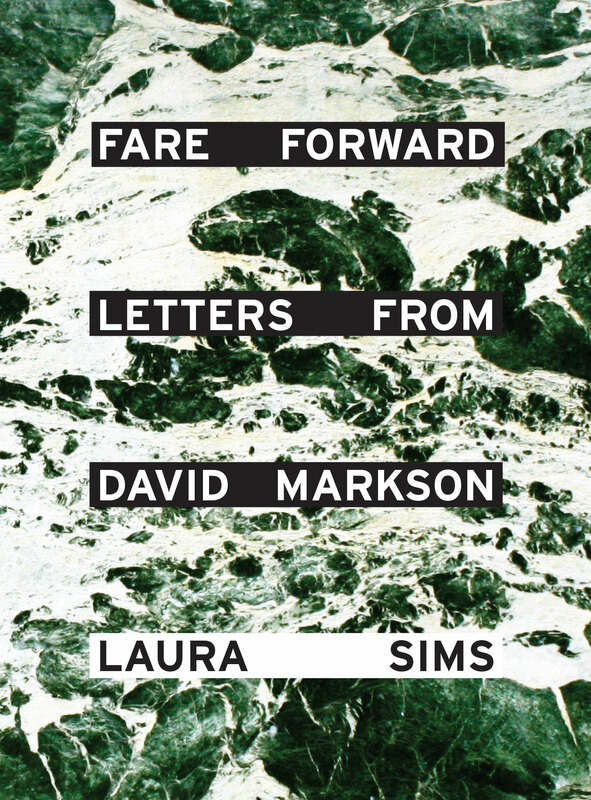 In this first-ever book of letters by novelist David Markson—a quintessential "writer's writer" whose work David Foster Wallace once lauded as "pretty much the high point of experimental fiction in this country"—readers will experience Markson at his wittiest and warmest. Poet Laura Sims shares her correspondence with him, which began with an impassioned fan letter in 2003 and ended with his death in 2010, finally allowing a glimpse into the personal world of this solitary man who found his life's solace in literature. The letters trace the growth of a genuine and moving friendship between two writers at very different stages; in them we see Markson grapple, humorously, with the indignities of old age and poor health, and reminisce about his early days as a key literary figure in the Greenwich Village scene of the 1950s and 60s. At the same time, he sincerely celebrates Sims's marriage and the first milestones of her career as a poet. The book is full of engaging commentary on life, love, and the writing life. Markson reveals himself to be casually erudite, caustically funny, lovably cantankerous, and always entertaining. This volume marks a significant contribution to our understanding and appreciation of Markson's indubitably important and affecting body of work and will be a delight for his longtime fans as well as those just now discovering him. Please click here for a preview of Fare Forward. David Markson earned his reputation as a master innovator of 20th and 21st-century fiction with his iconoclastic approach to plot, narrative, and character. His critically acclaimed novels include: Springer's Progress (Holt, Rinehart and Winston, 1977), Wittgenstein's Mistress (Dalkey, 1988), Reader's Block (Dalkey, 1996), This is Not a Novel (Counterpoint, 2001), and Vanishing Point (Shoemaker & Hoard, 2004). Born in Albany, New York in 1927, Markson earned an M.A. from Columbia University and worked as a journalist, book editor, and sometime college professor. Although he considered himself "well known for being unknown," Markson's circle of readers and fans has continued to grow since his death in 2010. Laura Sims is the author of three books of poetry, including My god is this a man (Fence Books, 2014). She has been the recipient of a Creative Arts Exchange Fellowship and the Fence Books Alberta Prize. Sims has written book reviews and essays for Rain Taxi, New England Review, Boston Review, and The Review of Contemporary Fiction. She teaches literature and creative writing at NYU and lives in Brooklyn with her husband and son. Ann Beattie's most recent book is Mrs. Nixon (Scribner, 2011). The New Yorker Stories (Scribner, 2010) was named one of the ten best books of the year by The New York Times. Her story "Janus" was included in John Updike's The Best American Short Stories of the Century. She lives with her husband in Maine. High-res scans to your specification are available upon request; scanning from the book or lifting text or images from the mechanical file are strictly prohibited. Mandatory credit line: From Fare Forward: Letters from David Markson edited by Laura Sims, written by David Markson, published by powerHouse Books.